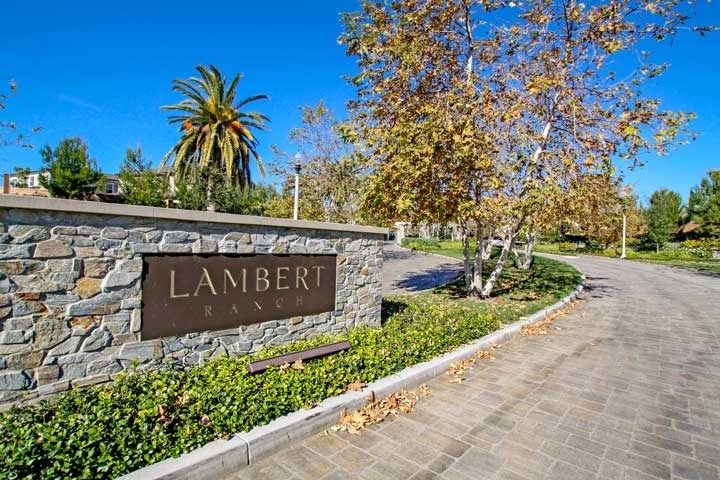 Lambert Ranch homes are located in the coastal area of Irvine, California. The Lambert Ranch neighborhood is a gated community located in the Portola Springs community with homes built between 2012 to 2013. These are very large single family homes that range from four to six bedrooms and range in size from 3,276 to 5,200 square feet of living space and built by the New Home Company home builders. The homes can offer main floor bedrooms, great rooms, large Master suites with walk-in closet and exterior covered loggia's. Homes located in the Lambert Ranch community are located under a homeowners association with monthly dues required. There is no additional Mello Roos tax located here unlike other areas of Portola Springs. Residents of Lambert Ranch get to enjoy the many association amenities which include a nice clubhouse, pool, spa and outdoor barbecue area. Beach Cities Real Estate showcases all the current Lambert Ranch homes for sale and for lease in Portola Springs. Please contact us at 1-888-990-7111 for more information on this community and any of the homes listed for sale here.